Super Smash Bros. Bayonetta 2. The Legend of Zelda Wii U. These were the big ticket items for the Nintendo’s E3 2014 live stream. It’s all broken down for you below. Head onward. A new Mario game wasn’t announced today. The news was broken via an animated version of Reggie Fils-Aime which kicked off the presentation. Then, a bizarre instance of Satoru Iwata and Fils-Aime fighting it out led to footage of their Miis brawling in the new Smash Bros game. Super Smash Bros. head Masahiro Sakurai followed the rather odd footage to discuss how he wanted to add Miis in the last outing, but the tech wasn’t there. It is now, according to Sakurai who stated the Mii fighters will come in three varieties: brawlers will be bare knuckle fighters, gunners and sword fighters will have weapons. Each have four special moves from 12 options equating to 46 special moves. Palutena from Kid Icarus was also confirmed as a fighter later in the presentation. The 3DS version is almost complete and is undergoing debugging and more testing. More features are to be announced at a later date for the 3DS version before it releases during holiday 2014. 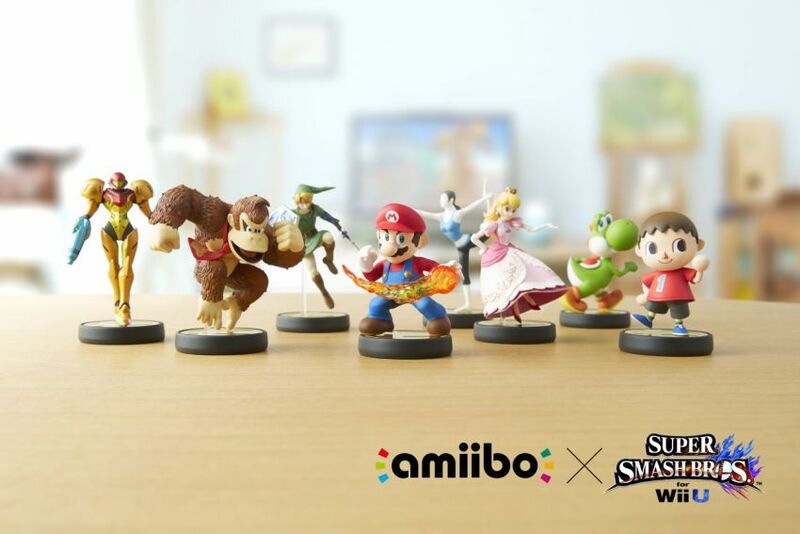 Fils-Aime came on to discuss how Nintendo’s Amiibo figurines will play into the Wii U version of the game, which will be the first to incorporate the figurines. The next title to make use to the toys will be added to Mario Kart 8 at a later date. The first upcoming title to be shown was Yoshi’s Woolly World was shown. The 2.5D side-scroller based around exploration for Wii U is in development at Good-Feel, and is the second Yoshi game since Yoshi’s Story starring only Yoshi. The game uses similar art material of yarn and textiles Kirby’s Epic Yawn Wii and features a textile and fabric environment. Yoshi can make Flutter Jumps and the dinosaur starts out as only yarn threads in his shape. When he uses his tongue, he will swallow Shy Guys in order to turn into a three-dimensional form. It contains co-op and will be released in 2015. A game called Captain Toad Treasure Tracker was shown, and it looks like a Toad version of Super Mario 3D World game. It’s out this holiday on Wii U.
Zelda development boss Eiji Aonuma came on next to discuss the new Zelda Wii U game which is open-world. Players can access areas in the game from any direction without having to follow a set path – as with previous games in the franchise. A trailer -which is all in-game footage – showed a boss fight with Link while staying on Epona’s back the entire time was shown. So we take it this means you can battle on horse-back. Sign us up please. It’s out next year. Pokémon Ruby Version and Sapphire Version was up next with a trailer. The game which both takes place in the Hoenn region, and will be released on November 21. Primal Groudon, which is on the cover of Pokémon Omega Ruby, and Primal Kyogre, which is on the cover of Pokémon Alpha Sapphire were also announced. A better look at combat in Bayonetta 2, which is a Wii U exclusive, was shown and apparently our titular hero can don a Samus outfit. The Platinum Games title will be released in October, and the game disc includes the original Bayonetta game. 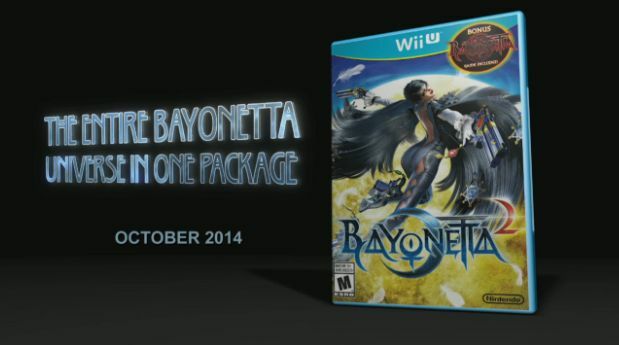 Bayonetta and Bayonetta 2 will be bundled together for an October 2014 release. Hyrule Warriors will allow players to take on the role of Princess Zelda, Impa, Midna, and Link according to information provided in the stream. The game is out in September 26 on Wii U and looks rather lovely in my opinion. Splatoon is a new IP in the works for Wii Um and it’s a four-on-four multiplayer action game that drops players into a battle arena that two teams strive to claim as their own. Players of each team spray ink on the ground around them while blotting out the opposing team members in turf war competitions. Each character can turn into a squid-like character and swim through his or her own team’s ink – gliding up and down walls and under floors – with ease. Using the Wii U GamePad’s gyro sensor make it easy to look around and aim, and the on-screen map displays the entire arena at a glance. Splatoon is targeted to launch in the first half of 2015. Announced also was Kirby and the Rainbow Curse which is heading to Wii U. Planned for 2015, the game is set in an HD, stop-motion clay-like world where everything is made from clay. Touch-screen drawing mechanics with more variations in functions build on the controls of the Nintendo DS game Kirby’s Canvas Curse are in this new game. The latest Kirby title was followed, finally, by a trailer for Monolith’s ‘X’ which has been in development for what seems ages. It is now known as Xenoblade Chronicles. Thank you for finally giving us an actual title on it, Monolith. Mario Maker for Wii U was shown, and the game allows you to create your own custom Mario levels. It’s out in 2015. The invitational bouts will see 16 of the world’s best Super Smash Bros. players lock horns in the fighter. Also, Miamoto-san will be showing off games he is personally working on. You can see a glimpse at each through the YouTube link and Twitch. Star Fox (working title): Turns the Wii U GamePad into the view from the cockpit of Fox McCloud’s Arwing fighter. While the TV shows the perspective from behind the Arwing, players can also use the gyro sensors of the GamePad to intuitively and independently target enemies. Players can instantly switch between the Arwing and Landmaster tank with the press of a button, and the game also introduces a new helicopter-type vehicle. The game is scheduled for 2015. Project Giant Robot: Lets players use the touch screen to build a giant robot. Once complete, the GamePad becomes a cockpit from which players control the robot as they try to knock opponents over. A unique combination of button and motion control adds leverage and momentum to their robotic punches. The game is scheduled for the first half of 2015. Project Guard: The goal is to stop a robot invasion using a security system of 12 cameras as a last line of defense. Players mount a dozen security cameras around a perimeter before the invasion, and then monitor all 12 as the robot army invades. Cameras also can blast lasers, so players must look, search and shoot quickly if they want to survive the onslaught. The innovative use of the two-screen game play makes for a thrilling spectator experience, allowing anyone in the living room to join in on the fun as an additional set of eyes. The game is scheduled for 2015.